Capt. William E. Simpson II – USMM Ret. 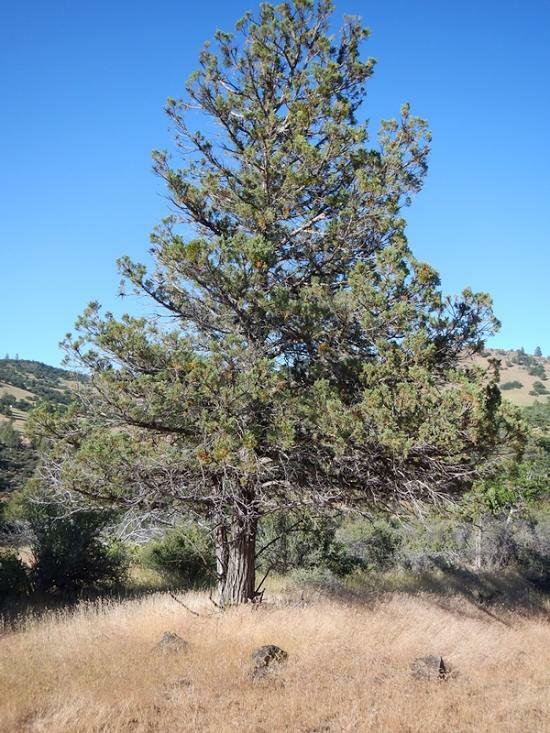 contributed the following opinion article to Healthy Forests, Healthy Communities. The column offers a solution that Capt. Simpson says will save the Bureau of Land Management $58 million annually just on the corralled horses, and save the counties hundreds of millions in fire costs, and allow wild horses to be free. 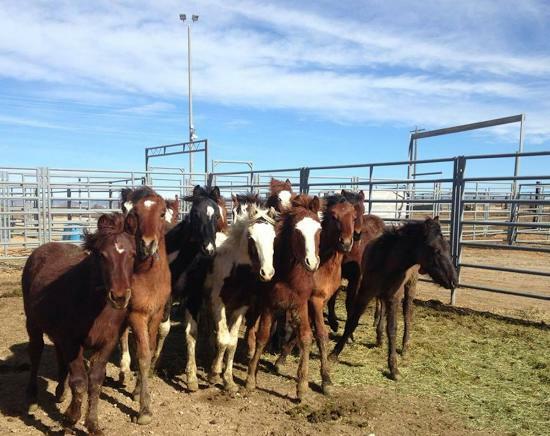 Wild horses being held at BLM corrals. BLM photo. A juniper tree frequented by horses. Photo by William E. Simpson. 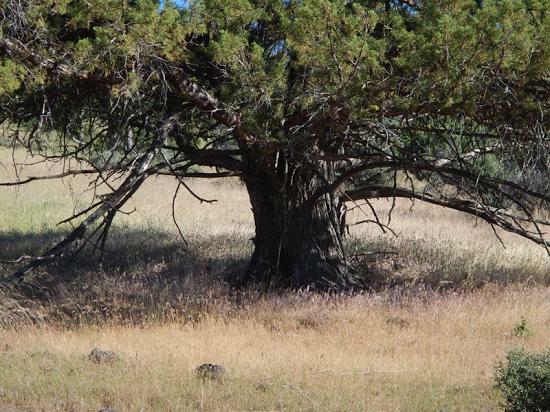 A juniper not frequented by horses has abundant fuel underneath. Photo by William E. Simpson. 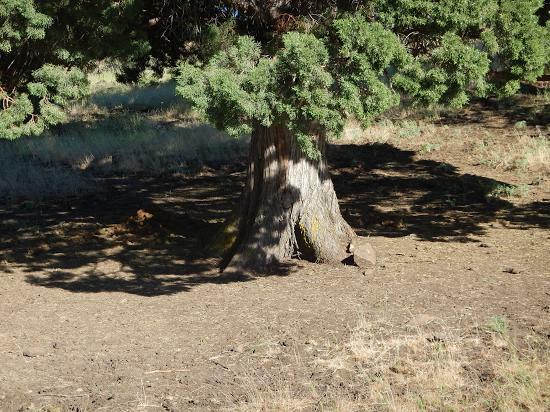 Another juniper tree with lots of fuel at its base… Photo by William E. Simpson. 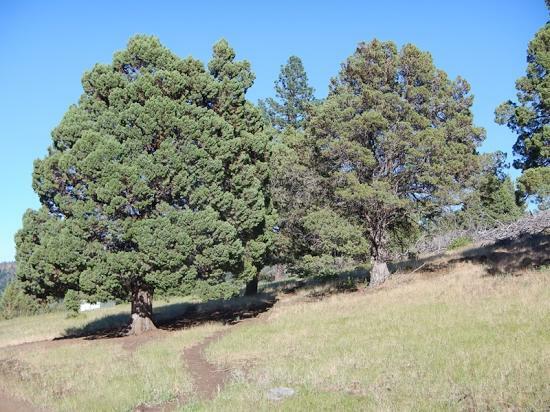 A juniper tree (seen above) that is frequented by horses stands-out and is visibly more vibrant and more fire resistant (note health of its canopy) than nearby junipers that are not frequented with sparse dry canopies. Photo by William E. Simpson. There is just too much false and misleading information about wild-feral horses floating around these days, much of which disparages the temperament of wild horses as one of many obtuse excuses to damn them to BLM holding pens, or worse yet, to a painful and hellish slaughter. And for Christians who actually follow God’s laws and the Bible, horses or burros must not be eaten according to Leviticus-11 and Deuteronomy-14. Contrary to rumor, the vast majority of wild and feral horses don’t have a malicious bone in their bodies. It’s the abuse at the hands of people that gives horses a bad attitude and when any animal loses its trust of humans, of course it becomes defensive and people can and do get hurt. The foregoing claim about wild-feral horses is best exemplified by an encounter my wife and I had with a wild-feral horse we met for the first-time on a mountain top behind our ranch. This home-video provides some genuine insight into my claim.